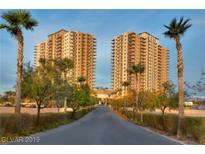 Below you can view all the highrises for sale in the One Las Vegas subdivision located in Las Vegas Nevada. Listings in One Las Vegas are updated daily from data we receive from the Las Vegas multiple listing service. To learn more about any of these highrises or to receive custom notifications when a new property is listed for sale in One Las Vegas, give us a call at 702-323-5939. Excellent 24-hour amenities, including fitness center, pool, and business center. MLS#2088663. Synergy Sothebys Int'l Realty. Mstr bath w/ sep soaking tub & shower w/ frameless enclosure. MLS#2088971. Northcap Commercial. First class 24 hour amenities at your fingertips, 2 story fitness, resort style pool, business center, much more! MLS#2088969. Northcap Commercial. First class 24-hour amenities at your fingertips, 2 story fitness, resort style pool, business center, much more! MLS#2088965. Northcap Commercial. First class 24 hour amenities at your fingertips, 2 story fitness, resort style pool, business center, much more! MLS#2088967. Northcap Commercial. Upgrades include custom master bath walk-in shower, quartz countertops throughout, custom cabinetry w/self closing drawers and vessel sinks, two walk-in closets in master w/custom shelving, electronic drapes in great room and master bedroom, flooring, storage, and separate laundry room. MLS#2085361. Simply Vegas. Enormous owner's suite with adjoining balcony. MLS#2085794. Northcap Commercial. 2 story fit cntr, resort pool w/cabanas & summer kit, controlled access, concierge. MLS#2085791. Northcap Commercial. 2 story fit cntr, resort pool w/cabanas & summer kit, controlled access, concierge. MLS#2085792. Northcap Commercial. Lowest Hoa high rise living in the area. Close to it all! MLS#2083402. HomeSmart Encore. Condo is close to New Raiders Stadium, Town Square and Airport MLS#2081812. Assurance Realty LLC. Complete With The Most Amazing Building Amenities At Your Fingertips A True Place To Call Home ! MLS#2082489. Platinum R.E. Professionals. 2 story fit cntr, resort pool w/cabanas & summer kit, controlled access, concierge. MLS#2079779. Northcap Commercial. 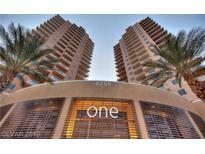 First class 24-hour amenities at your fingertips, 2 story fitness, resort style pool, business center, much more! MLS#2079774. Northcap Commercial. Enormous owner's suite with adjoining balcony. MLS#2077314. Northcap Commercial. 2 story fit cntr, resort pool w/cabanas, controlled access, concierge. Fannie Mae & VA apprvd. MLS#2075078. Northcap Commercial. 1 YEAR HOA WILL BE PAID at Close. MLS#2073251. Realty ONE Group, Inc.
2 story fit cntr, resort pool w/cabanas & summer kit, controlled access, concierge. MLS#2071618. Northcap Commercial. 2 story fit cntr, resort pool w/cabanas & summer kit, controlled access, concierge. MLS#2071624. Northcap Commercial. controlled storage unit included. A must see! MLS#2071752. BHHS Nevada Properties. First class 24-hour amenities at your fingertips, 2 story fitness, resort style pool, business center, much more! MLS#2069660. Northcap Commercial. 2 story fit cntr, resort pool w/cabanas & summer kit, controlled access, concierge. MLS#2069651. Northcap Commercial. Enormous owner's suite with adjoining balcony. MLS#2069655. Northcap Commercial. Short drive to airport, 215/ 15. MLS#2069645. Northcap Commercial. 2 story fit cntr, resort pool w/cabanas & summer kit, controlled access, concierge. MLS#2065754. Northcap Commercial.